The conference will be held at the University Club Bonn at the University of Bonn. Research Institute for Discrete Mathematics and Arithmeum. Address: Lennéstr. 2, 53113 Bonn, Germany. 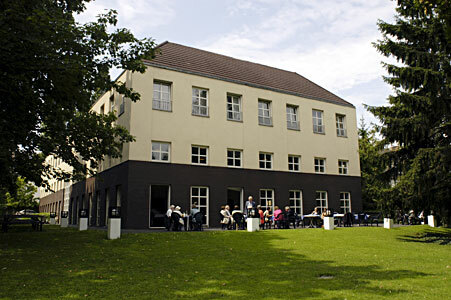 The following picture shows the main building of the University of Bonn. The University Club Bonn is hidden behind the trees in the left middle. The Research Institute for Discrete Mathematics and Arithmeum are located at the upper right corner of the "Hofgarten" lawn. The closest airports are Cologne/Bonn (CGN), Düsseldorf (DUS), and Frankfurt (FRA). In most cases, Frankfurt will be the best choice. 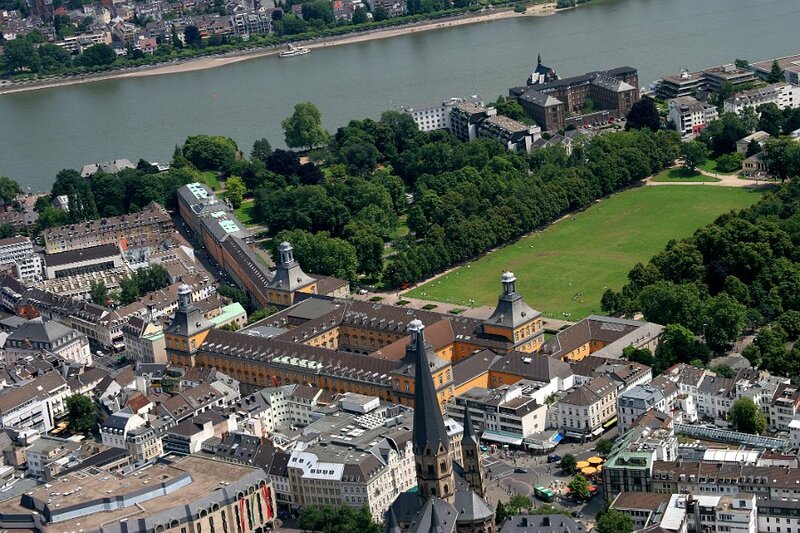 Bonn can be reached easily from Frankfurt airport by train in 1-2 hours. See here for more information. Several Hotels are available in walking distance. We recommend that you book your hotel room before April 20, 2014. 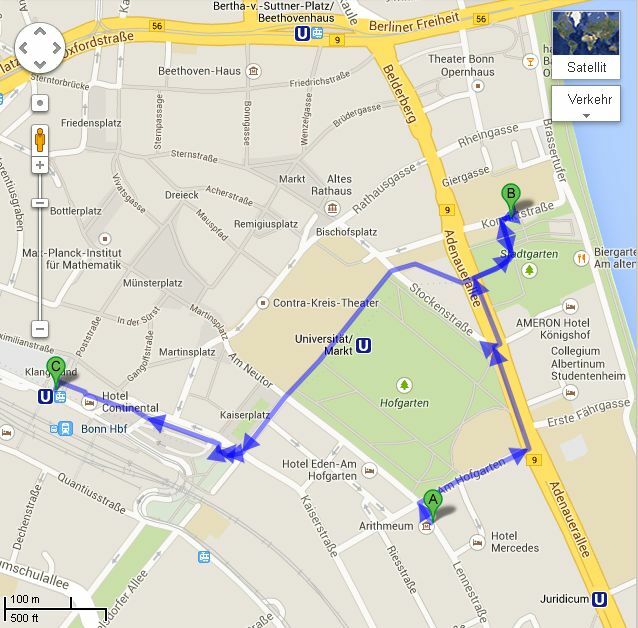 A short walk takes you to Beethoven's birthplace and other historic buildings in downtown. We will explore the romantic Rhine valley on our boat trip on Tuesday. 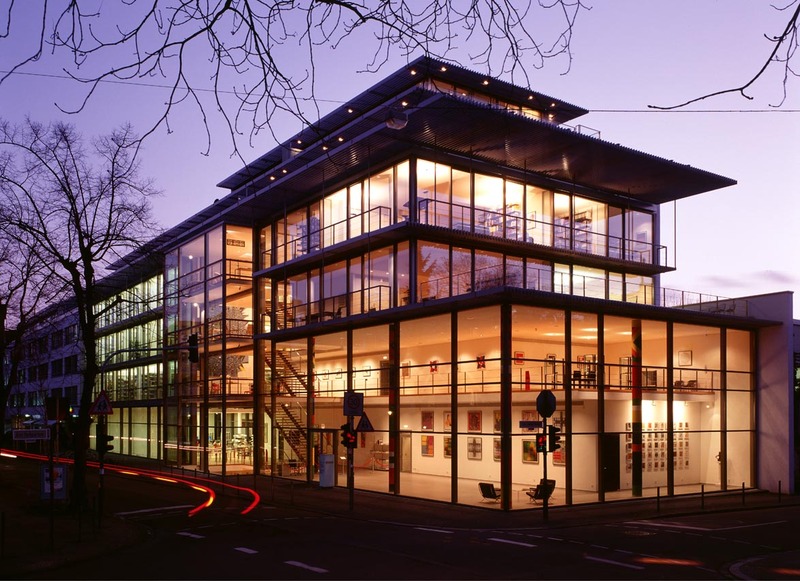 Bonn has many interesting museums, e.g., of modern art and of German history. If you have time, a 20-minute train ride takes you to Cologne with its famous cathedral. More touristic information can be found here.